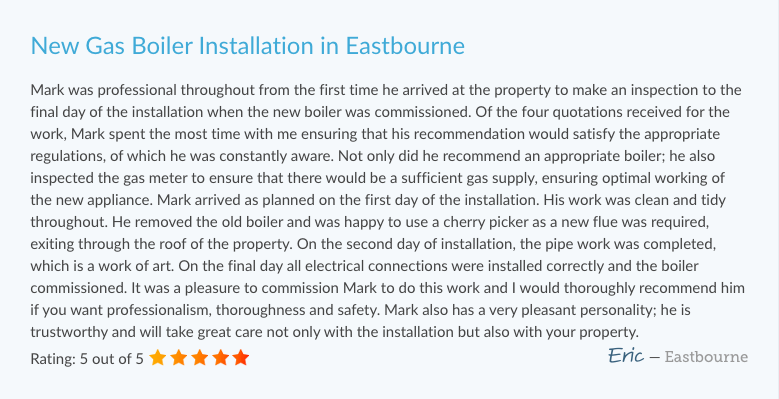 Looking for a reliable and experienced plumber in Eastbourne? a wide range of other central heating services? Ferris Heating Services based in the heart of Eastbourne provide boiler repair services and boiler installations across all mainstream brands. We also provide a wide range of heating services such as Central Heating, LPG, Oil and Gas alongside solar heating panels on your home. We supply and install a wide range of boilers from combi boilers, to system and regular boilers. We are Gas Registered and undertake 100's of landlord gas safety checks every year. With over 10 years experience, we can repair all types of central heating system faults. We are specialists in boiler repairs and experienced in repairing all boiler types. Ferris Heating Services based in Eastbourne provides Boiler Repairs, Boiler Installation and a wide range of Heating Services. Copyright © Ferris Heating Services 2017. All rights reserved.